Use the CardExchange® Producer Print Server to enable secure printing and inline encoding over your network. The Print Client (or Dispatcher module, if using) sends the jobs on to the Print Server, where they are collected and sent to the relevant ID Card printer as soon as it becomes available. This ensures there is no waiting for print jobs to finish before you can send the next one. See the 'SBS Dispatcher and Server Layout Examples' document in the downloads tab for more information. By utilising an AES encrypted protocol, your data remains secure when being transferred from the Print Client to the Print Server within your network. To create a total print farm solution for your card production operation or bureau, add the CardExchange Producer Dispatcher Edition. 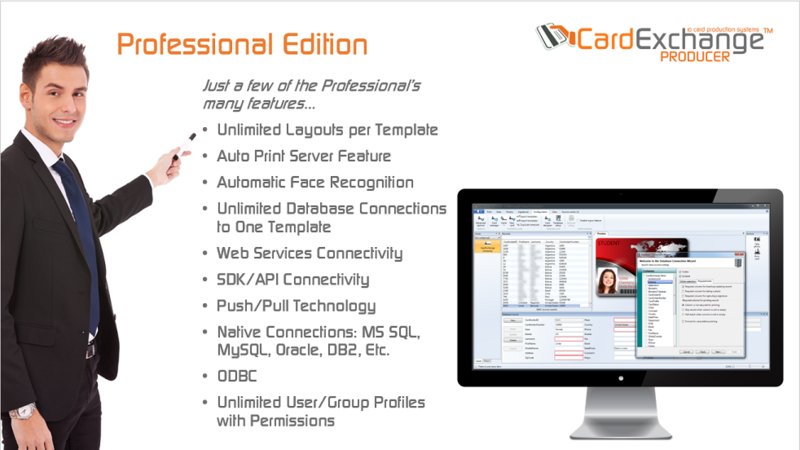 CardExchange® Producer Print Server Edition comes with 5 Print Server licenses which can be used at the same time. 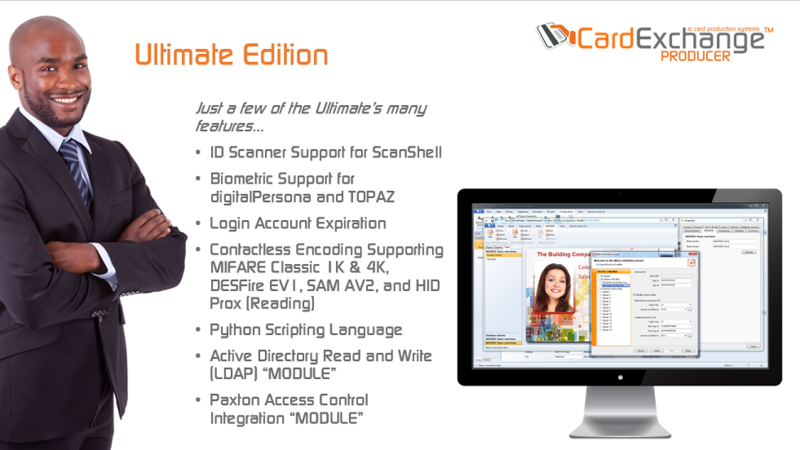 For each ID card printer you will need 1 Print Server. Whilst there are no limitations with regards to the amount of Print Servers that can be used, we advise not to use more than 4 Print Servers per computer, especially if you are using inline encoding.